Level VI Ballet is a continuation of the work developed in Level V. It is here where students will be challenged more in their physicality, endurance and body articulation. Students will begin to train pointe work once it is approved by their teacher. 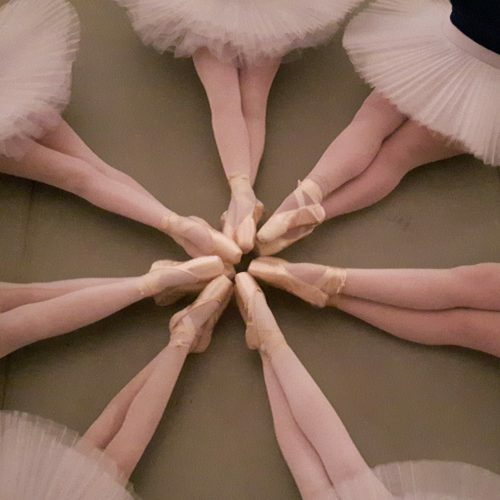 Understanding that pointe is a delicate and dedicated art form, only students who present strong skills in their allegro, ankle stability and consistently strong relevé movement patterns will be invited to get a pointe shoe fitting. Please note: not all students of this grade level will be obtaining pointe shoes, as safe dance training is our priority.